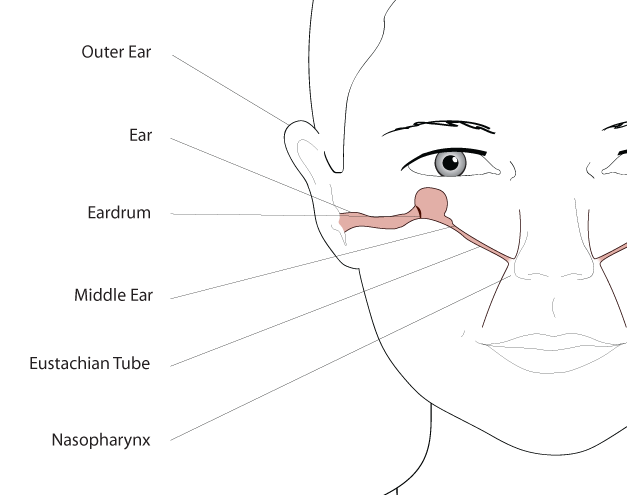 The first line treatment for negative pressure in the middle ear. Originally designed for ages 3 years and up, the soothing effects of Otovent provide pain relief while making it fun for children and adults too! Regulation of the pressure in the middle ear is a known and important mechanism in the treatment of disorder of the middle ear in children. Normally, the pressure in the middle ear is equalized by swallowing or yawning. If the mechanisms for regulating negative pressure are not effective, negative pressure in the middle ear occurs due to collection and absorption of the air in the membranous lining of the middle ear. After a number of weeks thick secretions develop, filling the middle ear (glue ear) and leading to hearing impairment. If left untreated, it may lead to deterioration in the elasticity of the eardrum, which may lead to chronic disorders of the middle ear in the future. By inflating the balloon and playing the 'Otovent game' with children or adults 2 to 3 times daily, symptoms are relieved quickly and effectively anytime, anywhere. Children and adults get back to their normal day to day activities faster without extreme medical intervention or recovery time. The soothing effects of Otovent® provide pain relief while making it fun for children and adults too! Children generally view blowing up the balloon using the Otovent® method as a game, which makes carrying out the treatment easier. Slightly older children, who have learned the Otovent method, can both perform and monitor the treatment themselves. Otovent has a proven early satisfaction rate with up to 70% of patients reporting improved symptoms.